The very first reactions to the upcoming Justice League movie are here. This is one of the most highly-anticipated movies of 2017 and one of the more significant comic book movies to come around in a long time, possibly ever. This is the very first time the Justice League, one of the most beloved super teams in comic book history, is ever appearing in a live-action movie. So how's it looking so far? Pretty positive. Warner Bros. recently held a Justice League test screening that was maybe supposed to be a bit secret but didn't wind up staying that way. Those who attended the screening had to sign very strict non-disclosure agreements, so they are not allowed to post their reactions online. However, the folks over at Batman-News spoke to several people who attended the recent Justice League screening and got their reactions. Here's what they had to say about it. "Spoke to 3 people who attended the #JusticeLeague test screening. They loved it! "Epic". One person didn't like BvS/SS but loved JL." It's important to note that this is three alleged reactions from three different people being condensed down into a single tweet. That said, it is very important that all three of these reactions to Justice League are positive. Most importantly, someone that hated Batman V. Superman: Dawn of Justice and Suicide Squad loved Justice League. To say the least, those two movies were divisive. So if Justice League can win back some of those disheartened DC fans, that will be a huge win for Warner Bros. and the DCEU. There was also another, separate, leaked reaction from Comicbook.com that simply said the movie was "fine." That isn't exactly glowing, but there have been no negative reactions so far. Joss Whedon has been hard at work doing additional photography for Justice League ever since Zack Snyder stepped down over a personal tragedy a few months ago. He hasn't stepped back in since. Whedon's contributions, by most accounts, have been much more substantial than initially indicated. Snyder will still keep his directing credit, but Whedon did enough work to earn a writing credit on Justice League. He's now finally finished. At least enough to put together an assembly cut that the studio was able to screen. They are definitely going to be cutting in close with this one. Justice League is set to hit theaters on November 17. So whatever editing still needs to be done and any corrections that need to be made based on this screening need to be made quickly. 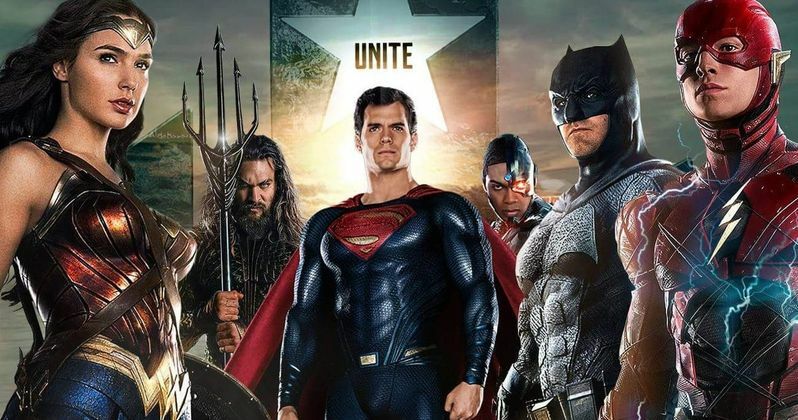 It is likely that Warner Bros. will start screening the movie for critics next month, so we could be seeing more thorough reactions online in the coming weeks. How soon that happens depends on their level of confidence in the movie. At least for now, fans can breathe a little sigh of relief knowing that what reactions are available for Justice League are positive.